How much do Aston Martin's competitors need to worry? Even without an SUV in its lineup (that’s soon to follow, though), it seems that Aston Martin's dreams of one day becoming a major player in the luxury market are beginning to materialize. Like Porsche is doing now, it plans to attack its competitors by inciting the sweet teeth of the rich, offering high-priced luxury options across the entire board including SUVs, hybrids, EVs, Ferrari-fighters, and just about everything in between. However, its latest financial report for the first half of 2017 indicates that the current lineup isn’t doing badly either. If you’ll recall, Aston Martin is struggling but continuing forth with promising new models in the pipeline. The only new car it has out right now is the DB11, a grand tourer that echoes each and every positive trait that Aston Martin is best known for. With that, the limited Vulcan, and upcoming Valkyrie, Aston Martin has managed to set a new record for first half-year profits. Revenue has jumped 94% to €410.4 million ($489.34 million) with pretax profits resting at a confident €21.1 million ($25.16 million). It doesn't take much digging to figure out where all that extra cash is coming from. A glance at production and sales numbers will show that wholesale units have jumped by 67% to 2,439 vehicles, fueled in no small part by the DB11 coupe. Andy Palmer, Aston Martin President and CEO, said: “Aston Martin is accelerating financially with our third successive quarter of pre-tax profit. 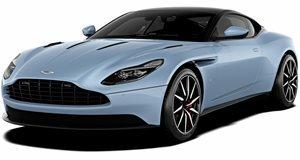 Our improving performance reflects rising demand for our new DB11 model, as well as for special edition vehicles and the ongoing benefits from our Second Century transformation plan.” With Aston Martin doing so well only one model into its plans to unveil seven models within seven years—the DBX SUV having no effect on bolstering sales yet—the automaker’s future is looking very good indeed. This is a far cry from the Aston Martin of the previous decade, a company that couldn't turn a profit to save its life despite a well-known luxury badge and attractive picks within the range. We, along with Aston Martin’s stakeholders, are liking this new modernized Aston Martin much better than the automaker we previously knew.